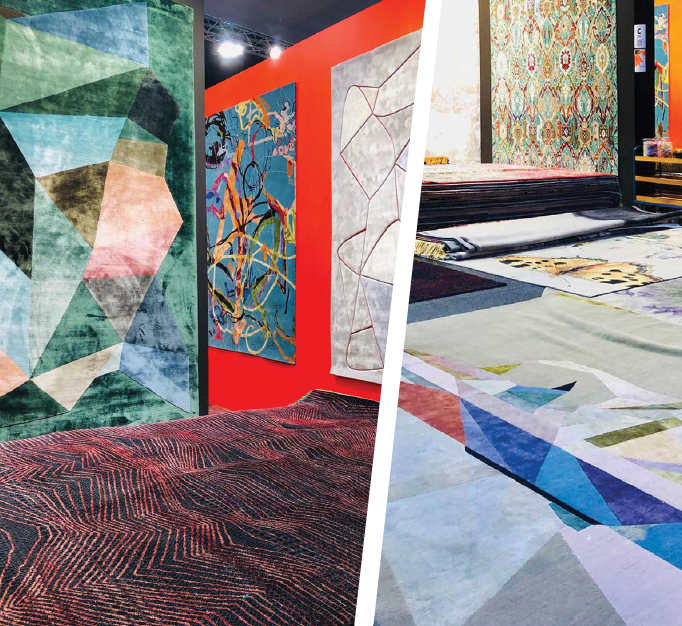 As part of an online interview, DOMOTEX asked Managing Director of Rug Star, Jürgen Dahlmanns, whether he thought floors told stories. “Maybe we have forgotten this, but the origin of a pattern in a carpet was based on stories. The goal was to communicate cultural information from one generation to the next,” says Jürgen. Jürgen adds that looking at traditional rugs is like going to the opera. If we attend an opera, we only see a small glimpse of the story and we inherently understand very little. “It’s the same experience with patterns in rugs. I believe that floors can tell stories, especially bordered carpets. A bordered carpet, for instance the hand-knotted carpet, is a textile surface in a room – and it tells a story. My stories might focus on animals, numbers or letters, because when I work on a rug, I ask how we can relook at a story so that it can be reintegrated into our lives today. That’s my job as a storytelling carpet producer,” concludes Jürgen.